The 16th century saw the rise of the new Medici. Distant relatives to the famous patrons such as Lorenzo Il Magnifico. 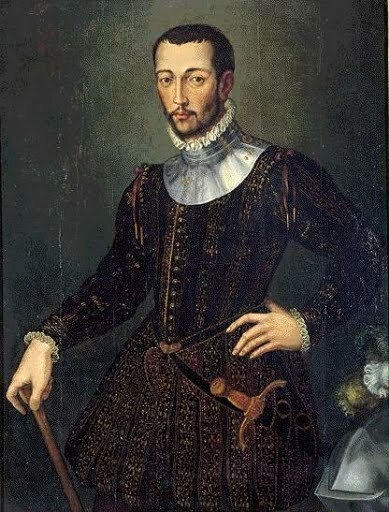 One of the more interesting examples of one of these later Medici and their intimate relationship with art was Francesco I de' Medici (1541-1587), and his creation of the private study/museum known as lo studiolo. The project was overseen by the great Giorgio Vasari and included contributions by many leading painters and artisans. Finding a detailed and definitive source on this particular collection has been difficult. We know that Francesco's original studiolo was dismantled immediately after his death, and that it was only reconstructed in the last Century, with several sources telling us the reconstruction is inaccurate in some respects, but does in some way capture the original spirit of Francesco's private collection. A lovely hi-resolution picture posted in May 2010 by Flickr user urukai1964. 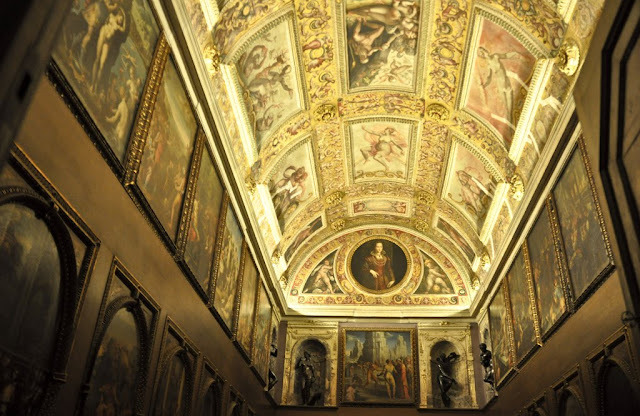 The studiolo was built between 1570-1575 within the Palazzo Vecchio - originally a municipal building but later commandeered as a Palace by the Ducal Medici. This building is now again in public hands, and apart from being a museum attraction, also forms offices of the current Mayor of Florence. 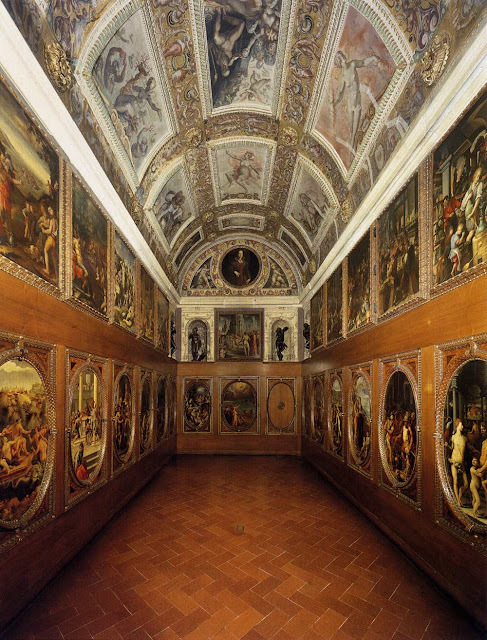 The Palazzo Vecchio Museum website lists some further details and images of the studiolo, also known as The cabinet of wonders. Here is a lovely snippet from the BBC Four documentary The Medici - Makers of Modern Art. This documentary was first aired in 2008 and is presented by Andrew Graham Dixon. If anyone is aware of a definitive English language text focusing on the Studiolo, please let us know! "If anyone is aware of a definitive English language text focussing on the Studiolo, please let us know! " If you can get access to ProQuest Digital Dissertations (Most university libraries should have digital access), there are two English language dissertations on the Studiolo. If you have access, the PDFs are free. If you get in touch with them, I think they might send you a print copy for a fee. I included full citations in case you want to contact the university for a copy, sometimes they do, sometimes they don't. Art, the Ape of Nature: Studies in Honor of H. W. Janson (H.W. Janson (ed)). Thank you for the references Anon! I must track those down! Late to this post; I don't know if you're still interested in sources. San Juan, Rose Marie. “The Court Lady’s Dilemma: Isabella d’Este and Art Collecting in the Renaissance,” The Oxford Journal, Vol 14, no 1. 1991, pp/ 67-78). Note: My dissertation addressed major problems in the room's current installation, based on iconographic analysis. I could not have accomplished this task without the research that Scott Schaefer conducted in the 1970s (along with a sixteenth-century document discovered in the early 1980s.). When paired with one another, the dissertations create a truly comprehensive overview of the Studiolo of Francesco I de' Medici.